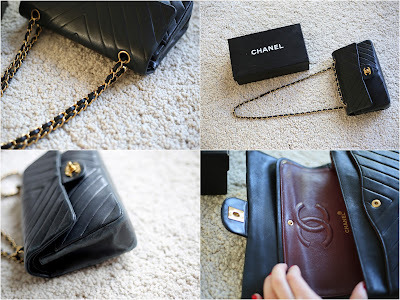 I think the classic flap bag from Chanel in black leather and gold hard wear needs NO presentation. This one with the exclusive pattern that came back this year 2016 again which is the most thought after. This is one of most women dream bag and it's so chic and stylish, will enhance any simple outfit. Price: 23.000SEK or 2470Euro OR SERIOUS OFFER (new 35.000SEK) and I'll stand for the shipping world wide. For serious buyers, email me at stina_auer@live.se and expect a fast reply back with paying instructions.